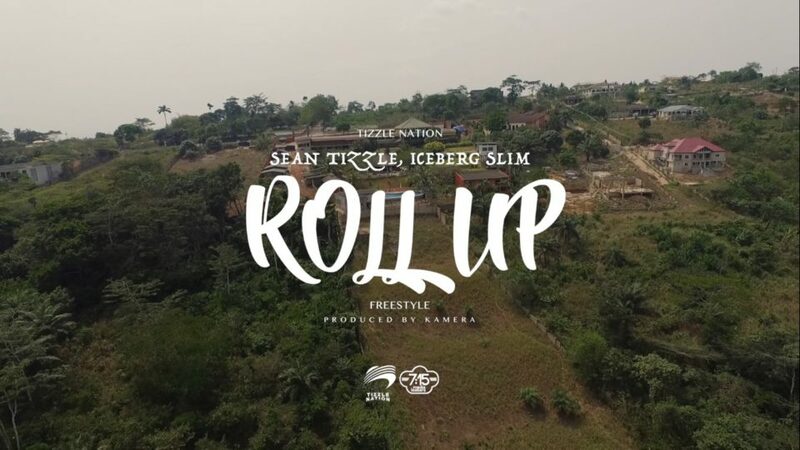 As a follow-up to his recently released video – “Latin Lover”, Sean Tizzle is back with the visuals for “Roll Up”featuring rapper Iceberg Slim. Last month, 2 women accused singer, Usher of infecting them with herpes without telling them he had the STD, now 2 women and a man are about to file a lawsuit against him, claiming Usher exposed them to the STD as well. Celebrity attorney Lisa Bloom (who represented Blac Chyna recently) says she'll file the suit Monday in California and hold a news conference in NYC to correspond with the filing. One of the women will appear at the news conference. The 2 others will remain anonymous and will appear in the lawsuits only as Jane Doe and John Doe. Bloom says all 3 individuals claim to have had sexual contact with Usher after 2012, and he failed to tell them he allegedly had the STD. I am posting this on behalf of young girls, women, and mothers of all ages. I'm enjoying a vacation with my son after a long season of shooting and being away from him for weeks at a time over those months. Since websites and magazines love to share 'celeb flaws' - well I have them! My body has given me the greatest gift of my life: Luca, 5 years ago. I'm turning 30 in September and my body is healthy and gets me where I need to go. Ladies, lets be proud of what we've got and stop wasting precious time in the day wishing we were different, better, and unflawed. You guys (you know who you are!) already know how to ruin a good time, and now you are body shamers as well. The Oklahoma County sheriff's office confirms that A 4-month-old girl was found dead after she was left inside an SUV for most of the day, said. The child's grandmother thought she dropped the girl at a daycare in the Oklahoma City metropolitan area on her way to work on Friday morning so she went to pick up her granddaughter about 5 p.m. prompting daycare workers to look for the child inside the facility. They couldn't find her and later discovered the deceased in a car seat inside her grandmother's SUV. Mark Opgrande, a spokesman with the Oklahoma County sheriff's office. said, 'she apparently thought that she dropped off the child this morning, which she had not. The girl was in the car while her grandmother was at her place of work in Oklahoma City the entire day'. Authorities were still investigating the case evening and no charges had been filed. "Despacito" has broken another record yet again. This time, the Spanish-language song by Luis Fonsi featuring Daddy Yankee has taken the crown as the most-watched video on YouTube with over 3 Billion views. Last month, the song became the most-streamed song of all time, with more than 4.6 billion streams on combined platforms. With the new feature on Youtube, "Despacito" beats Wiz Khalifa and Charlie Puth's Fast and Furious anthem "See You Again" for the top spot on Youtube. A 19-year-old zookeeper has been mauled to death by a bear at a wildlife park in central Sweden. The animal, reportedly a two-year-old brown bear, was shot dead after the attack at the Orsa Rovdjurspark. The bear was said to have dug its way back into its enclosure, which the zookeeper was cleaning. The park has been closed for the rest of the day. Orsa Rovdjurspark says it is Europe's "largest predator park", with a variety of bears, leopards and tigers. It was supposed to be empty but the bear appeared to have tunnelled its way back in. Emergency services were called to the park, in the central county of Dalarna, at about 10:30 local time (08:30 GMT) and treated the man at the scene but he died later of his injuries. The park's head, Sven Brunberg, said: "It started out as a normal day, a family had booked the activity and normal routines were followed. I'll leave it to the police to work out what went wrong." Officers are investigating whether proper safety procedures were followed.The park insisted no guests were at risk.